Physical modeling synthesis is back with a vengeance. GeoShred lets you create music using expressive physical modeling synthesis. You can achieve realistic guitar sounds, and also bend, stretch and manipulate the sound into endless possibilities. 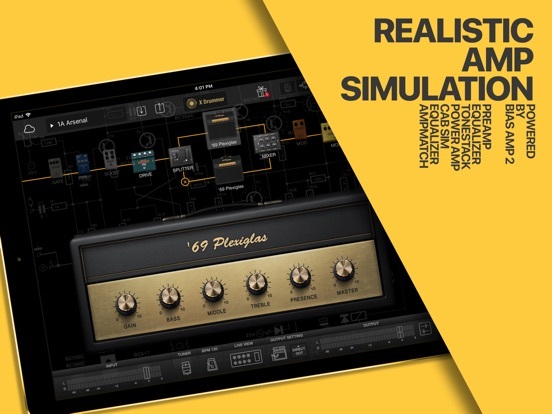 You can explore, edit and control the mechanics of a guitar model – solid or hollow body, nylon or metal strings, pick position, harmonics and much, much more! GeoShred’s unique, responsive user interface for performance and extensive sound design enables you to directly control dozens of model parameters and effects. With GeoShred, you have the power to make music that comes alive with expression, real controllable feedback, finger vibratos, note slides, power chords, auto-arpeggios and much, much more. BIAS Pedal uses the same logic of our revolutionary BIAS Amp designer, allowing you to virtually create your own distortion, overdrive, fuzz and booster pedal from circuit guts to the transistors. It’s seamlessly integrated with BIAS FX, now you can add your custom distortion to your BIAS FX pedalboard. For the first time ever, you can easily design and modify your custom distortion pedal at the most detailed level – from the input volume, to the distortion stages and gain control, to pre and post EQ and much more. You can even change the pedal’s virtual guts as they would do with a real life analog distortion pedal, like modifying their boost pedal’s germanium transistor or tweak their fuzz pedal’s silicon transistor. For the utmost ease of use, BIAS Pedal comes with 17 factory presets, from blues to rock, to alternative and metal, to everything in between. You can easily open your custom distortion pedal into BIAS FX’s dual signal effects and rack chains and dual BIAS Amps for a whole new level of tone creation. Now stunning distortion pedals can be used in the same signal chain as amp match profiles as boosters, distortion, or fuzz pedals for live or studio use. And with its cross platform design, BIAS Pedal can be synced all across Mac, Windows and iOS devices for instant use access. – The most accurate, thorough and versatile pedal modeling software available in the world. – 17 component-level emulation of distortion, overdrive, fuzz and booster pedals included with the introductory release. – Tone Match Technology captures any distortion pedals or recorded track and creates a matched model. – Fully customizable clipping stage, output stage, power stage, parametric EQ, graphic EQ and studio EQ. – Seamless integration with BIAS FX,create and add custom distortion to dual signal path. – Customize the look and feel of your own pedal; change the name, box, panel and knobs. – Coming soon: Share and download Tone Matched pedals created by signature artists and your fellow guitarists on ToneCloud. 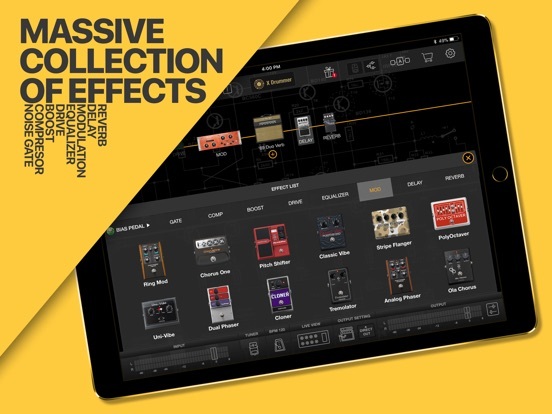 Positive Grid (www.positivegrid.com), today announced the new Studio Racks Pack for the already popular BIAS FX iPad amp-and-effects processor. Now BIAS FX iPad users will find five of the most sought-after studio racks including new professional modules based on the LA2A® Compressor, PSA-1® Preamp, Manley® EQ, Echoplex® and Dual Spring Reverb. 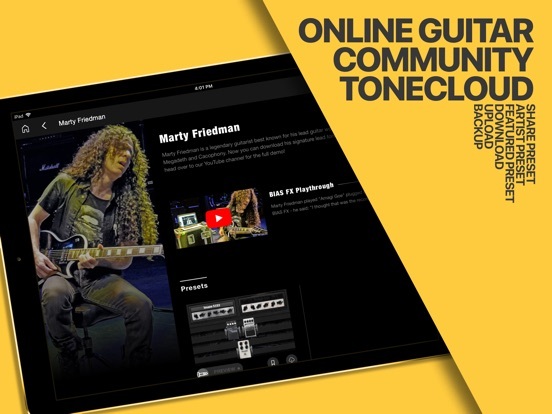 The new racks can be integrated with BIAS Amp models, run into two different signal chains, and share and download on ToneCloud, Positive Grid’s tone sharing platform. The new BIAS FX Studio Racks Pack is available now as in-app purchase. The new effect racks in BIAS FX includes a professional studio compressor based on the Teletronix® LA-2A® studio compressor. It’s considered one of the finest compressors in many circles and it provides warmth and transparent all tube circuit compressor effect. It’s great to use as preamp module to drive more gain, or as a rack unit for tube compression. The Studio Rack Pack also includes a drive preamp based on the Sansamp® PSA-1 preamp, this rack provides a full range of control parameters for your drive channel, you can dial in from a mellow blues lead to a punchy hard rock power chord. We also included a studio EQ based on the Manley® Massive Passive EQ, this boutique studio EQ contains 2 adjustable individual channel and each has 3 band EQ to shape the tone. BIAS FX iPad users can now find the classic delay echoplex based on the famous Echoplex® tape delay unit, first made in 1959. the Echoplex set a standard for the effect in the 1960s—it is still regarded as “the standard by which everything else is measured.” Also included is an analog sounding dual spring reverb, based on the RCM-2R® Dual Spring Tube Reverb. It uses 2 tube simulated channel to provide warmth and wide range of analog spring reverb, adding much juice to your tone and make it swirl and rich. 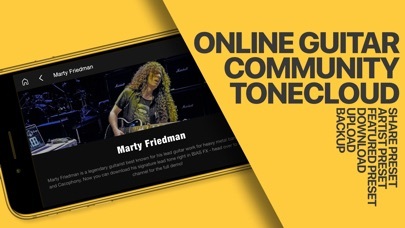 VOX Tone Room iOS edition is an application that allows you to edit various parameters of the VOX products from your iPhone/iPad, and allows you to manage your programs and transmit/receive them with your computer. The edits that you make are immediately sent to the VOX products so that you can check the sounds as you edit them. Since VOX Tone Room can graphically display many parameters at once, all the capabilities of the VOX products can be handled more easily. VOX Tone Room is also useful as a librarian for managing all your sounds and settings. To use this software with your VX II, you need a USB cable to connect with computer, and you need an Apple genuine USB camera adapter to use this software with an Apple iOS device. Easily construct harmonies and see the relationship between notes thanks to a unique interface. Instantly share tab ideas with friends and bandmates via Dropbox. Playback with highly realistic samples. Export tabs to PDF/TXT and render tabs to wav/m4a format. – 5 Instrument types: Guitar, Bass, Drums, Midi, Inter-App Audio. – Inter-App Audio Host and Node support. – Connect up to 4x Inter-App Audio Effects. – Effects: Reverb, Delay, EQ, Chorus, Flanger, Vibrato, Tremolo. – Create your own Drum Kits. • Any custom guitar tuning in the range of Standard to Drop C possible (in most cases alternative tunings have been fully resampled for most realistic sound). Even wider ranging tunings now possible. • Intuitive interface – program in notes just by touching them, rather than messing around with a numpad. • Save tabs in .jam format – export via iTunes or straight to Dropbox to share with friends/bandmates instantly. 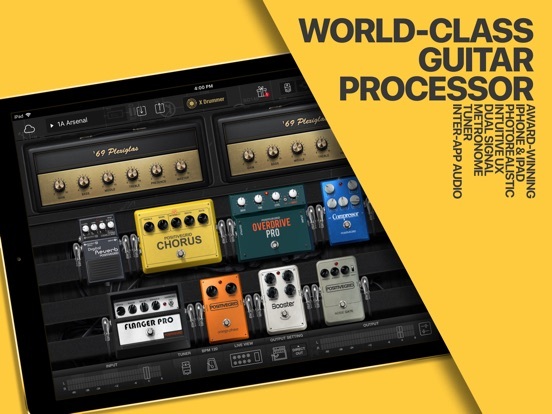 Adding to Positive Grid’s growing collection of stellar apps aimed at guitarists, comes what fans may call a natural evolution of their guitar amp simulator offerings, but none the less, it once again raises the bar on what can now be done with just a trusty guitar in one hand and an iPad in the other. Released just a few days ago, BIAS FX, is a one-stop-shop for creating your own customised, signature virtual guitar rigs to die for. It includes a dozen amps, more than 2 dozen effect pedals, and for the first time, a handful of professional rack processors, and heaps more. Some of these features have been available in varying degrees across Positive Grid’s previous offerings. Jamup Pro – with its combination of amp heads and stomp boxes, then followed by BIAS with its near surgically precise customisation of tweakable amp head settings. What the new BIAS FX iPad app does is consolidate many of those features into Positive Grid’s now familiar user-friendly interface for both editing and performance scenarios, while introducing some much wanted new features as well. Arguably the app’s best sound-worthy new addition includes the dual signal ability, adding the option for a second amp head for an even chunkier/fatter/ballsier/sweeter sound as both amps run in parallel. You can also control the mix of those two amp outputs. Think of it as the equivalent of having your guitar running through two separate guitar stack simultaneously. BIAS FX doesn’t offer the same option to tear the back off the amp head and tweak the amp’s inner workings, like its predecessor, however if you happen to also own the original BIAS app, you will have the option to slickly switch between the two apps and have that same customisation options, enabling you to still fondle with every last setting of your amp’s pre and post amps, transformer, tone stack and more. As the name suggests, the new BIAS FX, focuses on delivering a performance environment, where your amp and stomp boxes are right at your finger tips. Any given performance settings allows you to pick an amp head, and then string any number offer effects pedals before or after the amp, including noise gates, boosters, overdrive, distortion, fuzz, equalizers, tremolo, phaser, flanger, chorus, octaver, compressors, delays and spring and plate reverbs. It’s like JampUp Pro on steroids! Introducing the handful of new studio FX processors adds an extra level of quality for recording options too. Saved patches can be viewed in either the pedalboard view, which I’d say work best in the home/studio environment, and then there is the familiar Live View mode which appeared in JamUp Pro, and is ideal for those guitarists waiting to use this app live on stage, thanks to its simple user interface. Of course, Positive Grid has continued their cloud-based community feature in BIAS FX, enabling users to both upload and download unique guitar rig settings. 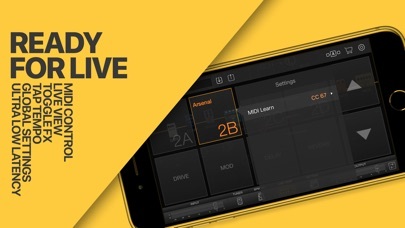 So whether you’re struggling to come up with a decent sound, or want to share your killer rig with the world, this social-friendly feature is a fantastic option that sets this apart from any other app. MIDI Learn is something also worth noting, and for those with all the right gear, you will appreciate the added support for this hardware feature. Last and by no means least, Positive Grid is going down the cross-platform path with BIAS FX, so later this year expect a PC and Mac version BIAS FX, in the form of a plug in for DAWs. So iOS users can expect an even bigger community, as this app goes cross-platform and the users base grows even bigger. I must confess, I’m not a seasoned guitarist, but a hack drummer and well-oiled professional studio engineer, so I got a good friend (and excellent guitarist) over to test drive BIAS FX, where we recently spent a rainy weekend going through many of the sounds, patches, and unique features of BIAS FX and he came away suitably blown away with the features, while I can commend the impressive sound quality Positive Grid have delivered with their latest offering. Yes, to get the utmost out of BIAS FX, you probably should also own BIAS, but it is not essential. The new app itself still offers great sounding amps, ample collection of stomp box effects, and unique cloud-based features. And if that’s all you need, bravo, you’re set! What are you waiting for? 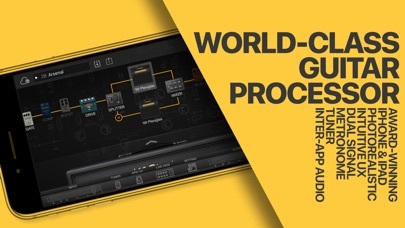 – Global Settings optimizes BIAS FX’s output to sound the best in any environment—including sending to a mixer, amp head or combo or stack power amp—by letting you EQ and selectively deactivate the app’s preamp, tone stack, power amp and cab separately for each destination. 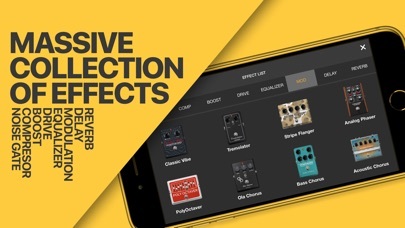 Unique effector app for guitar named “jgEffects” is now on AppStore ! 6 distinct types of effector help to escape from humdrum guitar sounds. supported audio interfaces are iRig, TASCAM iXZ. the app supports “Inter-App Audio” which works together with GarageBand that kind of apps. You have a choice between three different effectors and use concurrently with them. The contents of the effectors are as follows. note : some effectors are in-App purchase item. we have plans adding new effectors in the future. a featured effector. Fuzz which is characterized by overflow oscillation. a featured effector. it automatically rotates filter that makes wah-wah sounds. a featured effector. it changes tone color like a robotic sounds. it’s also awesome for vocalist. Over-Drive which is characterized by dryly harmonic tone. it is a noise-reduction effect. we provide standard Delay effector. San Diego, CA (Feb 12, 2015) — Positive Grid (www.positivegrid.com) today announced deep discounts for its mobile and desktop products to celebrate this year’s Presidents Day. Starting this Thursday Feb 12 until next week, JamUp, BIAS and Final Touch iOS apps are now just $4.99, a hugely discounted price from the original $19.99. Both BIAS Desktop and BIAS Professional plug-ins for Mac/PC are now $25 off. The offers are available worldwide. 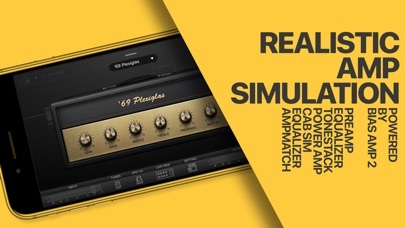 Transform your iOS into a complete guitar studio! The popular iOS apps JamUp Guitar Multi-Effects, BIAS Amp Designer, and Final Touch Audio Post Production offers the most complete and professional solution for mobile recording: create breath-taking custom amplifiers with BIAS; add stunning vintage and modern effects with JamUp Pro; and when you are done recording, polish your final mixes with Final Touch. All right in your iOS at a greatly reduced price! In addition, users can get 50% OFF for JamUp Expansion Packs via in-app purchases, offering the best price of the year for more than 40 different JamUp vintage and modern amps plus 50 studio quality effects. Instead of providing a fixed number of amp models, BIAS Desktop (AAX/RTAS/AU/VST) represents an entirely new concept: Using its simple and intuitive interface, you can design your own amp models, use Amp Matching Technology to capture the sound of any tube or solid-state amplifier, and share and download amp models from ToneCloud. The Presidents Day Sales are immediately available on Positive Grid’s website, on the iTunes App Store and as in-app purchase on the JamUp and BIAS Store.